Interview with Slow Moving Clouds. 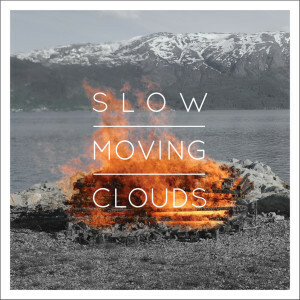 Slow Moving Clouds are an Irish-based three-piece who have recently released their debut full-length, ‘Os’ which beautifully draws inspiration from both Irish and Nordic music traditions. 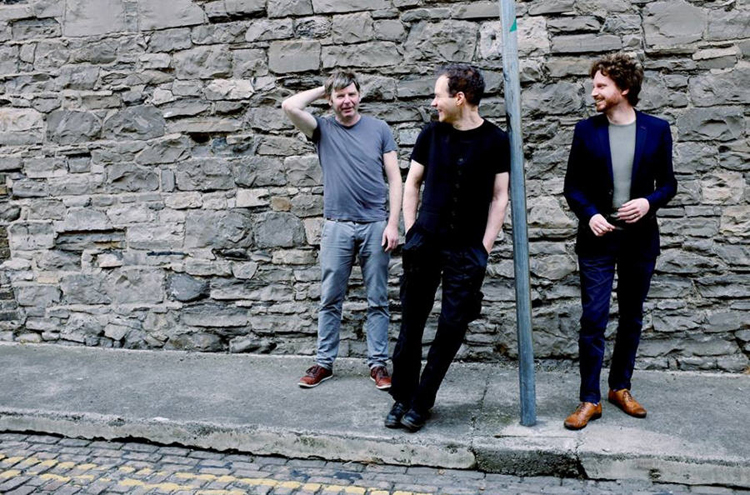 Slow Moving Clouds’ comprise the vastly experienced and critically acclaimed trio of Danny Diamond (fiddle), Aki (nyckelharpa, vocals) and Kevin Murphy (cello). Interestingly, the trio have worked extensively together in the past and have known each other for many years. Both Aki and Diamond have recored and performed as a duo (nyckelharpa and fiddle) under the moniker Danny & Aki while Murphy and Aki have performed together in the special cello-based outfit Seti The First (their debut LP ‘Melting Calvary’ is one of the finest albums to be made form Irish shores in recent years). Much like the Irish/U.S. ensemble of The Gloaming, both the personal and musical bond that exists between members is of paramount importance in both the genesis and results in forming such a collective, it is the basis for all the magic at work which shines forth clearly from each recording where each one seems to innately know and appreciate what each other can create. Much like Murphy’s Seti The First project, Slow Moving Clouds in truth draws as much from the traditional as it does from modern classical aspects of music, in turn a vast spectrum of soundscapes are created which are at times expressively lush and orchestral while elsewhere drone and ambient-influenced works come into sharper focus. All the while, a breathtaking sense of emotion is held (and builds gradually layer by gorgeous layer) for the duration of the album’s eleven tracks. Like The Gloaming’s Iarla Ó Lionáird, a tangible sense of both history and time can be discerned from both the vocal delivery and use of very specific, time-honored traditional texts (the Finnish-inspired pieces here such as ‘Hiljainen Suru’ and ‘Os’ break all limitations and borders posed by both language and place, creating in turn moments of pure, blissful reverie). The beautiful strokes and tones created by the cello/fiddle/nyckelharpa axis is a joy to savor (the simple joy of witnessing such music where feeling overrides everything else recalls such special musical souls as Iceland’s Amiina or Sweden’s Tape). This is an album – and band – who deserve the recognition for their extraordinary achievements. ‘Os’ is available now on Bandcamp HERE. Interview with Slow Moving Clouds [Aki, Danny Diamond & Kevin Murphy]. Aki: Thank you. Danny and I have been playing traditional music as a duo for awhile, and we released a duo album in 2012. I played with the live incarnation of Kevin’s band Seti the First, and had a duo project in development with Kevin. Instead of having two separate duo projects, we decided to try something with three of us. Most of our early dance music stuff (polskas) are complete rearrangements of material we had with Danny & Aki. In terms of the aesthetics and flow of the record, the combination of instrumental and vocal tracks works so wonderfully. The diverse range of styles, from more polska/dance rhythms to achingly beautiful ballads and soaring modern-classical pieces creates a very enriching experience. Can you take me back to these particular recording sessions and indeed the challenges you may have faced during this stage? There is a real sense of this joy of making music together as a group of musicians that really radiates and shines brightly throughout ‘Os’. It feels that the recordings themselves were quite effortless? Also, I can imagine the arrangement aspect of the music-making process would have been the most intensive period? Aki: We did a fair amount of rehearsing before going in to record. The arrangements were developed organically over time. Some of the arrangements changed during the recording process, even at the mixing phase. The songs were the newest material on the album. In fact, we had only played one of the songs (Hiljainen Suru) live before recording them. Danny Diamond: We dealt with a lot of the aesthetic questions and challenges in the months before recording so that, as Aki said, most of the basic arrangements were solid before going into studio. It was tricky to bridge the gap between the Irish and Finnish music traditions, which have a lot more differences than similarities. To effectively combine the two we had to come up with an approach and way of playing which was independent of both traditions and then treat all the material material in that ‘third way’. Irish music tends to often focus on the performer’s interpretation of traditional material, what the individual does with a tune. In the Finnish tradition the melodies, phrasing and ornamentation are much more defined, and are taught through a formal classical-based music education system. We didn’t buy into either of these very different mindsets, instead we took an approach that focused on arrangement, structure and atmosphere. Our way of working is (despite the difference in material and instrumentation) closer to a pop/rock band than anything else, writing intros, bridges, outros and defined parts for each instrument to play. We thought a lot, talked it out, and tried different approaches to the material before settling on this approach. We were very conscious that the results would have to make musical sense and not end up an awkward or superficial exercise in cultural fusion. We’re quite happy with the results of the recording, which has achieved the result of not sounding directly like either Irish or Finnish music but like something completely new, albeit with both traditions still audible as important influences. Kevin Murphy: While echoing what the lads have said I think that a key difference between what we did and what the traditions tend to dictate is that we simply chose to mix and arrange in a way which gave us the most pleasure. Frequently we were presented with dilemmas such as: do we need to find another tune to run in from the previous one or can we simply drop in an abstract instrumental part which tend to musically work better? Or should the instrument playing the lead melody always be the loudest in the mix? Etc. The answer to all these questions was what ever feels the best stays. Therefore hedonism often trumped tradition. Therefore odd musical bits appear where straight ahead tunes might be expected while in the mix the instruments tend to blend together in a layered and interconnected way rather than always having a loud lead part. In this we probably unashamedly borrow from My Bloody Valentine in trying to create a melodic mush from which barely discernable patterns occasionally emerge. It is however, unlikely that you will be left with any major hearing loss after going to one of our gigs. Please talk me through some of the traditional material contained on ‘Os’ and discuss why you chose these particular songs and indeed your memories of first discovering the songs? I would love to gain an insight into the approach (and process) you used when deconstructing and reworking these traditional melodies? Aki: ‘Hiljainen Suru’ (Quiet Sorrow) is a haunting traditional song that I have known for a quite awhile. I learned it from the singing of a friend of mine – Maija Karhinen. ‘Os’ (full title: ‘Os Fera Liluli’) is an unusual traditional song from Finnish tradition. It combines two ancient Nordic languages and Latin. I learned it from a recent recording by Arto and Antti Järvelä. ‘Suru Suuri’ (Great Sorrow) borrows the melody from an old Carelian call-and-response chant. The simple meditative quality of the tune caught my attention in the first place. The polkas on the album are from the Finnish fiddle tradition, mainly from the West coast of Finland. Danny Diamond: As for the traditional Irish material, we stayed clear of dance music (reels, jigs, etc), as that repertoire didn’t seem to fit so well with the sound and atmosphere we were trying to create. Since the backbone of the contemporary Irish traditional repertoire is dance music, we had to look a little deeper to find material for Slow Moving Clouds. In fact, all four of the traditional Irish tracks on ‘Os’ are based on (obscure and very old) song melodies. For example, ‘The Conquering Hero’ is derived from Handel’s chorus ‘See, the Conqu’ring Hero Comes’ from the oratorio Judas Maccabaeus. Aki found a version of it as a march in an old Irish tune collection from the 1800s, so it must have slipped into the Irish tradition at some stage. We took the march as a starting point, simplified and partly re-wrote the melody to fit our sound. So it’s a three-times-removed 18th century classical piece. We arranged it in a verse-chorus fashion and set it in a simple but effective drone-based arrangement, hoping that the track would evoke a unique atmosphere. This approach, although straightforward, is very different to the typical Irish traditional approach of my background, where the individual voice of the performer(s) playing melody tends to takes precedence over almost all other factors in an arrangement. I personally found it very interesting to have to recalibrate my approach – gaining a greater appreciation for tone and texture, contributing to the overall arrangement and mood, rather than ‘playing the tune’ in the traditional fashion. ‘Suru Suuri’ is a heavenly Nordic folk lament. The arrangements are impeccable and the voice is beautifully melded with the string instruments. Can you talk me through this song? The strings evoke the magical spell of a Sigur Ros creation such is its brilliance. Aki: This song really came together in the studio, although we had a basic arrangement in mind when going in. We wanted to keep the chant-like quality of the song, but also add a new layer of texture to add variety and a build up. Please discuss your chosen instrument – nyckelharpa, fiddle and cello) and how your playing has developed over the years, inspired perhaps by the various collaborations and projects each of you have been immersed in these past few years? Certainly, SMC sees a perfect meeting point for these three unique voices in contemporary music. Aki: Nyckelharpa is an interesting unusual instrument. I have developed my own style of playing that uses a lot of chords rather than single notes. The combination of the three instruments covers a wide pitch and tonal range. On one side we have a folk fiddle sound and on the other side we have a very organic experimental string trio. Danny Diamond: My fundamental grounding is very deep in the Irish tradition, coming from a family of traditional musicians, working for nearly a decade in the Irish Traditional Music Archive, studying and performing traditional music since my early teens. Listening to solo fiddle players on archival recordings has hugely informed my style and approach to Irish music, a habit which has grown so extreme that the traditional material which excites me most these days are wax cylinder recordings from the very early 20th century. In my solo playing and in the melodies I write I’m trying to connect to the roots of the Irish tradition, to the very free, expressive music you can hear in iconoclastic fiddle players such as Bobby Casey, Tommy Potts, The Rainey brothers, Johnny Henry and Máirtín Byrnes. I’m fascinated by a particular approach to intonation which is common to the players mentioned above, and heard a lot in the sean-nós singing and piping traditions as well. Non-standard and very expressive, it allows the musician to imbue their music with a huge range of emotion by bending notes, playing intentionally slightly sharp or flat at just the right moment. This expressiveness stands in refreshing contrast to the more codified/structured modes of playing that have grown in the traditional scene over the intervening generations. In parallel to looking back into the Irish tradition I’ve been working on integrating influences from Nordic & American folk music into my playing- this mostly takes the form of alternate open tunings and rhythmic / phrasing patterns, I haven’t delved really deeply into the other traditions, just enough to pick up a couple of exotic techniques & accents here and there. This exploration was really kick-started back when Aki and I started working together as a duo in 2009 or 2010. Another influence is the broad genre of music spanning avant-garde pop and minimalist music, running from John Cale to Eno to Gavin Bryars and Philip Glass. Music I’d been listening to since my teens without ever considering that there could be a way to combine it with the traditional fiddle music I was playing. Now with SMC there’s a perfect place to explore that combination. Slow Moving Clouds is an exciting project to work on, for me it continually pushes and tests my musical boundaries. I’m looking forward to exploring further with Aki and Kevin as the project progresses, and I’m also conscious that the experience of working with them will come through on any future projects from here on. It has broadened my perspective and my capabilities hugely. Kevin Murphy: Although the cello is certainly not associated with traditional music (Finnish or Irish) I have been involved with different trad bands for years. However, the expectation generally tended to be that the cello would hold down the root notes which were already pre-dictated by the guitar or bouzouki. I found this pretty limiting. Also the cello tends to be low in the mix on such recordings. I always felt this was an extremely limiting use of an instrument which could have a much more intense impact on Irish traditional music. With SMC there is scope for the cello to provide much more chordal colouring while we tend to have it much higher in the mix than would be normal giving the music a lot of aggressive intensity. The title-track (reflected also by its placing in the record) feels like the glorious centrepiece: how it slowly builds, like leaves swaying slowly by the autumn wind. Did this song perhaps form the gateway into the rest of the record? Danny Diamond: Actually the opposite was the case! ‘Os’ (the song) was very much constructed in the studio. We had only started working on it a few weeks beforehand, and didn’t have time to refine the arrangement before recording commenced. We tackled it relatively late in the recording sessions and it ended up coming together very naturally. What do you feel is the essence of Irish and Nordic music traditions for you? What aspect of these musical worlds resonates most powerfully with you that in turn, gravitates you towards these spheres of sound? Aki: Interestingly enough, the traditional music I like is the solo playing where you can really hear all the nuances and stylistic variations. What we are doing is clearly not traditional music. I’m interested in soundscapes and textures that can augment simple beautiful melodies. Danny comes from a traditional music background and I have a long history in traditional music as well, so those influences are naturally present in the music we make. Kevin and I have been playing both experimental and popular music for years. Slow Moving Clouds’ sound seems to combine all those elements seamlessly. Although the Nordic and Irish traditional music has been a strong starting point for our sound, I have a feeling that as our sound develops we will start introducing a lot more of original material. ‘Os’ by Slow Moving Clouds is available now on Bandcamp HERE.